Defending champion Al Nift Baghdad (IBL) re-signed experienced 38-year old international swingman Qutaiba Al-Doori (198-91kg-80). He played there last season. He helped them to win the league title. 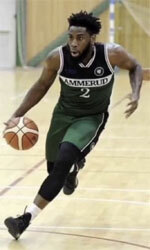 It was a very successful season in his career as he was awarded Asia-Basket.com All-Iraqi League Domestic Player of the Year, selected to 1st Team and selected to All-Domestic Players Team. The previous (16-17) season Al-Doori played at Al Mina (Superleague). He also played at the WABA Club Championships last year. Al-Doori has spent his entire career in Iraq playing for two other teams: Al Karkh and Duhok. It may be one of last seasons in his extensive career, which he may end at Al Nift. 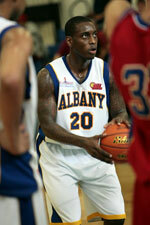 Al Karkh (IBL) signed 24-year old American (has also Nigerian passport) forward Austin Mofunanya (198-107kg-94, college: Pace, agency: SDJ Sports). He started the season at Ammerud Bskt in Norwegian BLNO. In 20 games he had very impressive stats: 22.5ppg, 10.4rpg, 2.9apg, 2.3spg and 1.3bpg this season. The last season Mofunanya played at C.D. UDEA Baloncesto Algeciras (EBA) in Spanish league where in 28 games he recorded also remarkable stats: 15.6ppg, 6.3rpg and 1.0spg. He graduated from Pace University in 2017 and it is his second season as a professional player.